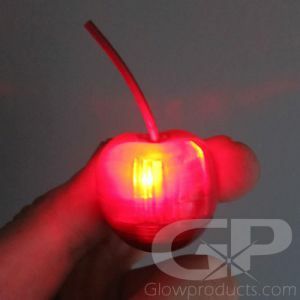 - 8 Settings including Color Changing Rainbow Mode! - Cocktail Parties! Special Events! Happy Hour! The three steps to the perfect Martini: shake, pour and illuminate. 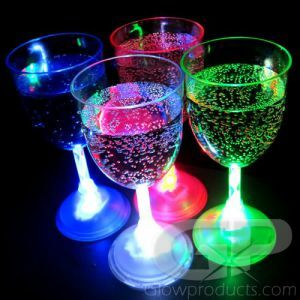 At your next Martini Party it's time to get Lit Up with cool Multi Color Light Up Martini Glasses! 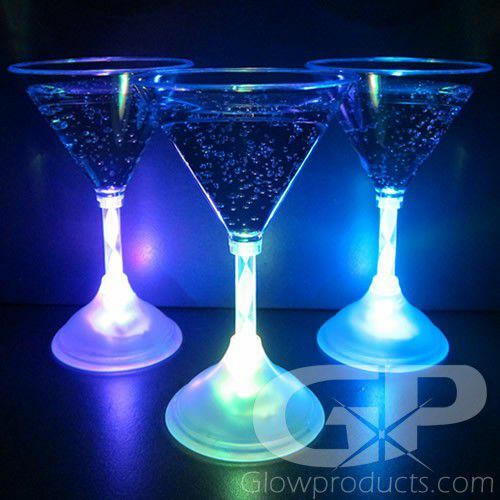 Glowing LED Martini Glasses are great for charity galas, receptions, night clubs, bachelorette parties and glow parties. 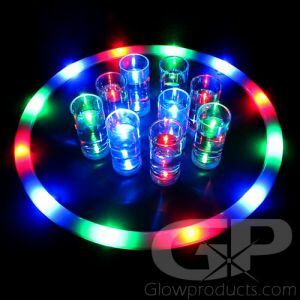 Each lighted martini glass has 7 different color settings plus a rotating multi-color setting. 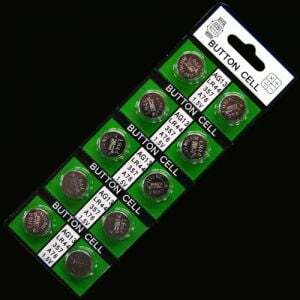 With 8 color modes to choose from you'll always find the right color for your event. 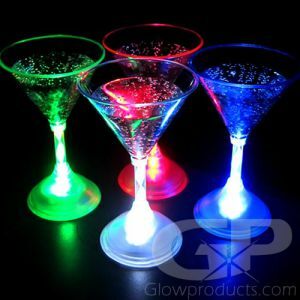 All light up martini glasses have replaceable batteries so you can use them again and again. And remember, it's always shaken, not stirred! 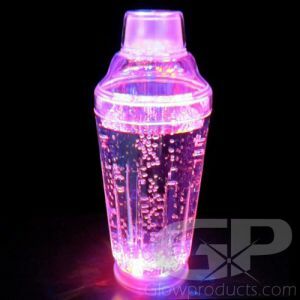 Instructions: Press the button at the base of the LED Martini Glass to turn it on and rotate through the 8 color and light modes. To wash, unscrew the bottom of the Martini Glass and wash with warm water and soap.